Whoa- how cool! 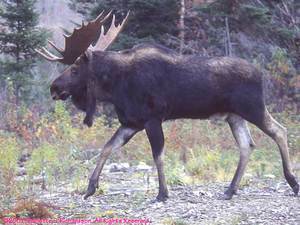 During our whole trip through NH-Canada-Vermont, we kept seeing those "Moose Crossing" signs- the ones that mention "hundreds of collisions"...but we never saw a real moose! Lots of mounted ones on plaques though-eeek! HI Barb! I found you! (through Liz'z blog!) I love that you embrace junk!!!! and moose, mooses? !